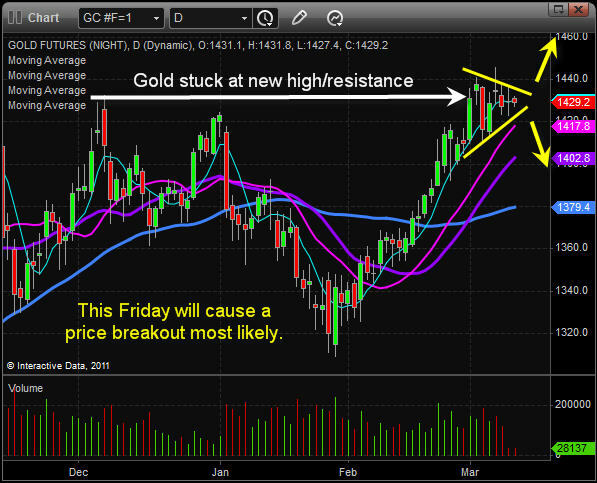 Gold and Equities on the Verge of Breaking Out! 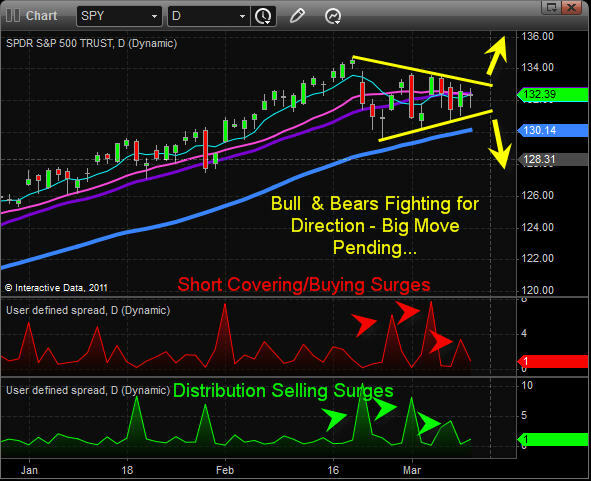 The past couple weeks we have seen strong distribution selling in the equities market followed by equally large days of buying. These buying and selling frenzies have formed a sideways consolidation. Intraday movements have been sizable and more than enough to shake those trying to pick a direction early out of the market a few times. As fewer traders get involved the price range narrows and becomes compressed. Eventually there will be a breakout in a direction on heavy volume and with any luck it will start a new trend. As much as I love to trade, I have been sitting on the sidelines for a few weeks giving this market some time to sort it’s self out… As we all know there are times when you get really aggressive and other times when it’s best to stand aside. If nothing happens which is kind of what I am thinking, we should see the extra fear value come back out of the price of gold, silver and oil (drop in price) and possibly help boost equity prices.